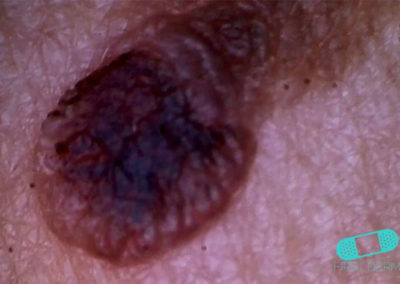 Melanoma is the deadliest form of skin cancer, as it has the potential to spread to other parts of the body. 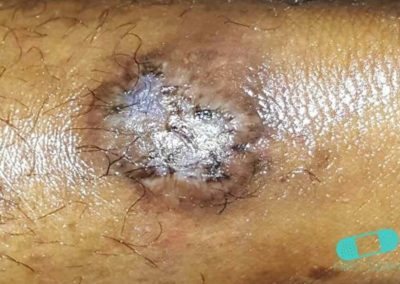 This form of cancer in skin pigment cells is often caused by the sun’s ultraviolet ray, which damage skin cells and causes the cells to divide uncontrollably. 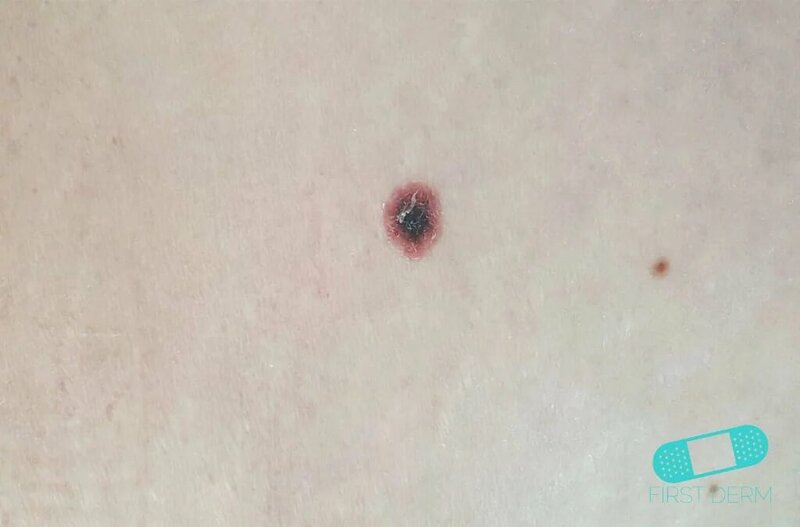 Fair-skinned individuals with red hair, multiple moles, and with a history of frequent sunburn episodes have a higher risk to develop malignant melanoma. Most melanomas arise on normal skin, and 25 percent of melanoma cases arise from an existing mole. 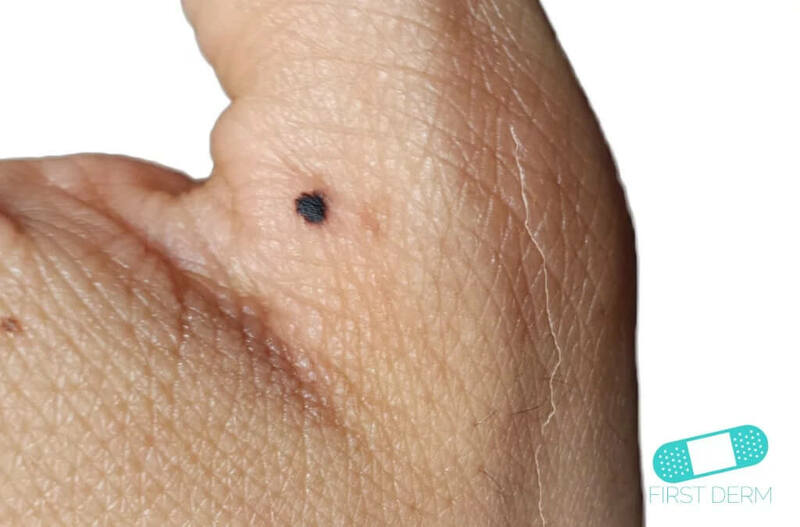 In the beginning, they typically look like a normal mole, they continue to grow, and gradually look different from a normal mole. 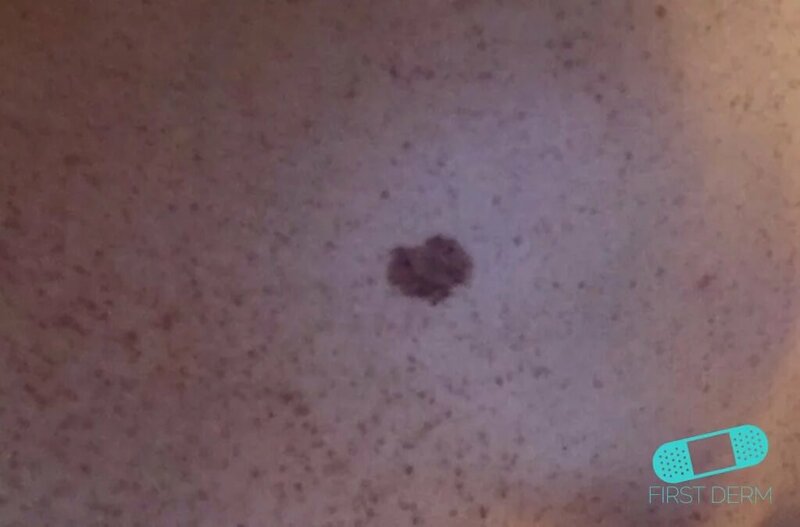 It often turns into an irregular shape and/or irregular or increased pigmentation. 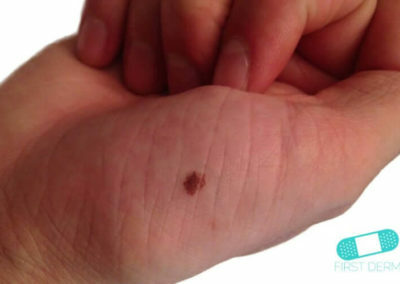 The disease sometimes occurs in liver spots or moles, but also may begin in normal skin. 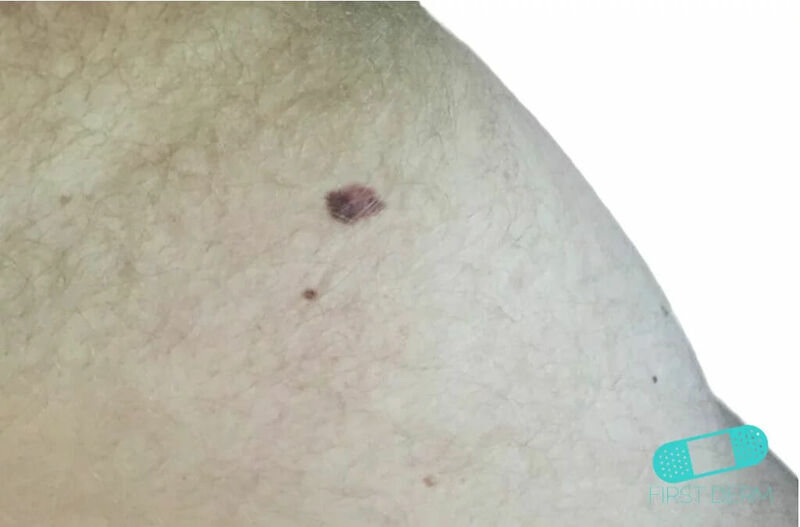 Melanoma can occur anywhere on the skin but often sit on the legs for women and on the chest and back for men. 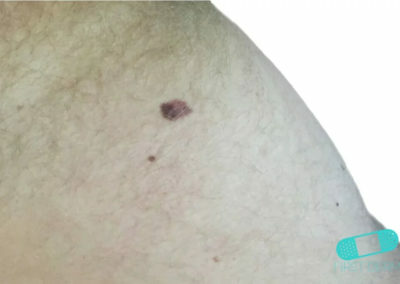 There are several types of malignant melanoma. They differ in growth, appearance and location. Superficially growing melanoma, or superficially spreading melanoma, stay thin for quite a long period of time, months to years before it begins to grow in depth. 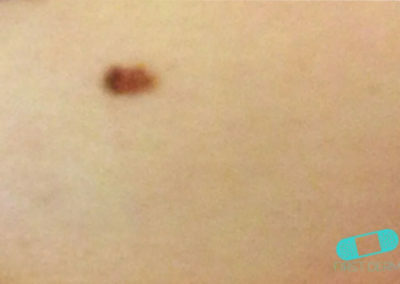 Knut Format melanoma or nodular melanoma grows early in depth. 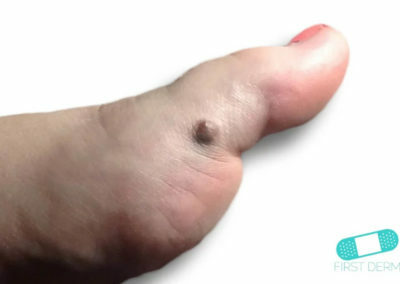 Lentigo malignant melanoma, also referred to as lentigo maligna, is a more benign form of melanoma. It often appears on the face of the elderly and can grow superficial for years as a precursor of melanoma before it grows in depth. The ABCDE rule can be used to self-check for cancerous moles: Asymmetry of shape, Border irregularity including sharply defined and blurred edges, Color variability and distribution that is different to other moles, Diameter greater than neighboring moles, Evolution with and change in size shape, colors and extra Features such as bleeding or itch. 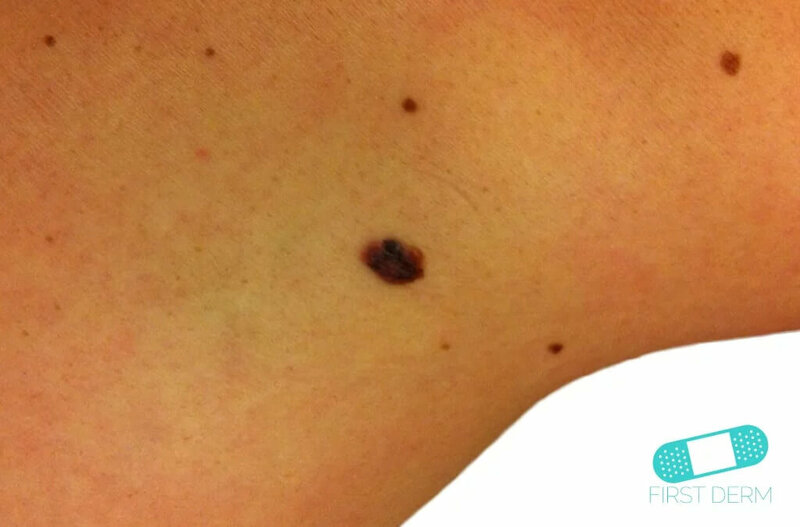 Keeping your moles and birthmarks under supervision is a great method to detect melanoma at an early stage. 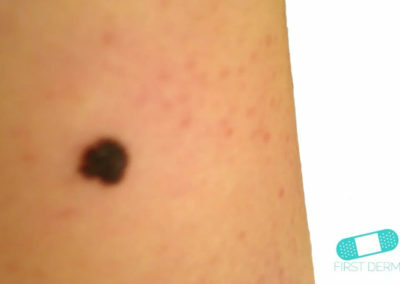 If melanoma is detected early, it has very good chances to be cured. 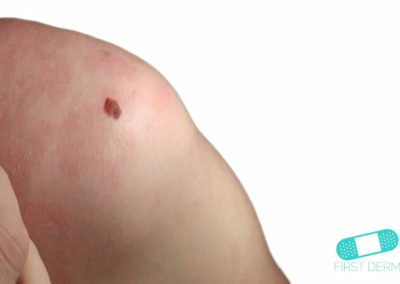 You can reduce the risk of getting melanoma by avoiding sunburn. The strongest sunlight in summer is from 11am to 3pm. You get much more exposure to the sun if you are staying in an open area, such as a beach, than if you are surrounded by trees or buildings. 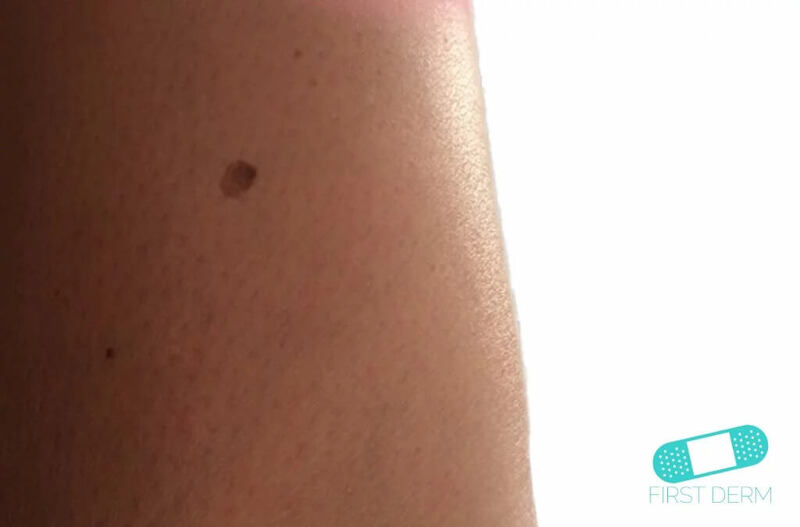 At the beach, sun also reflects off the sand and the water, which means that you can get burned even under an umbrella or even in cloudy or hazy weather. The best way to protect yourself during sunny days is to be in the shades as much as possible. Clothing and sun hat or cap offers good protection as well. Sunscreen is recommended as a supplement. 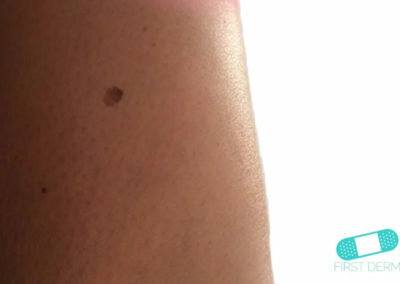 Tanning by the sun can put you at risk of skin cancer. 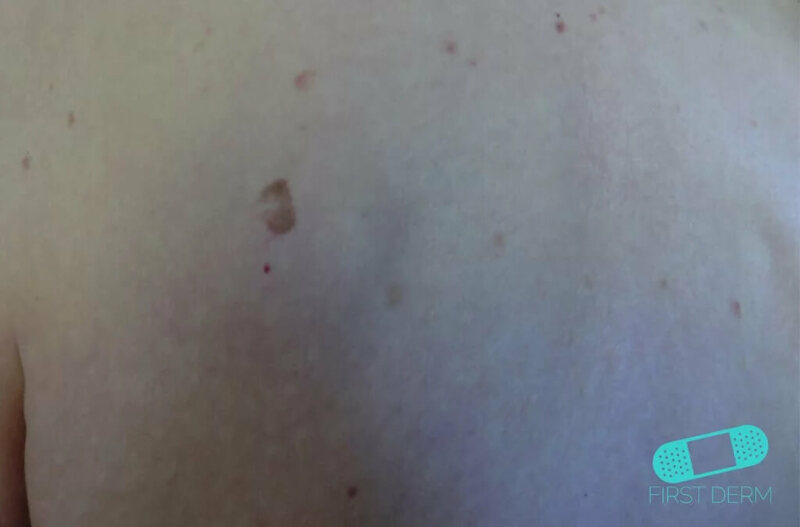 It is always better to let your skin get used to the sun slowly than to expose the skin for many hours of sunshine at once. 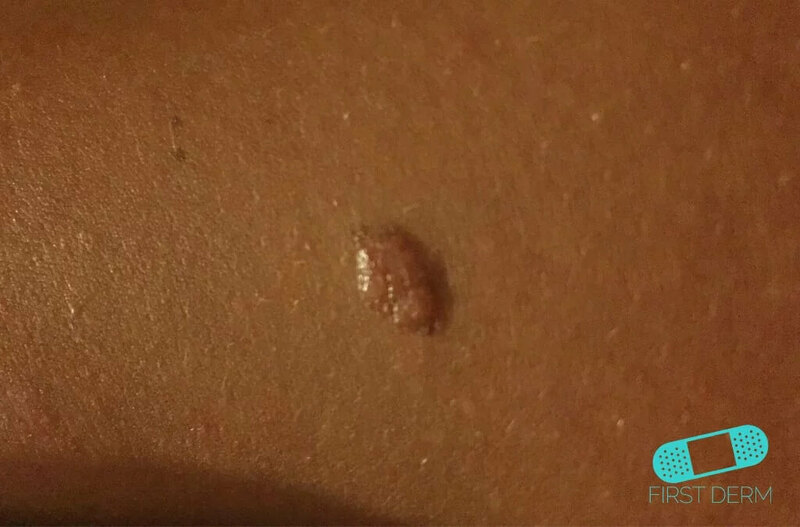 New findings suggest that even excessive tanning in a solarium may increase the risk of malignant melanoma. 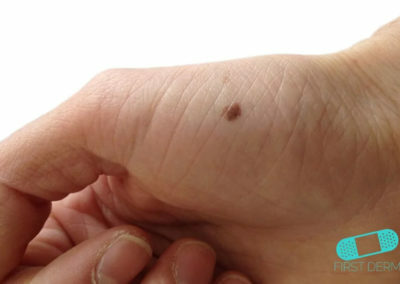 Any changing mole should be checked by your healthcare provider or dermatologist. 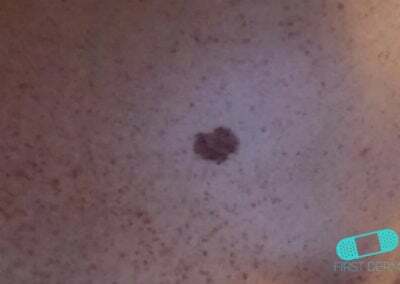 If you yourself or health care professional find liver spots or moles that have grown or changed in other ways, they should always be examined more closely. In many cases, it is caused by other skin changes rather than malignant melanoma, but it is important that to examine if the case indicates cancer. 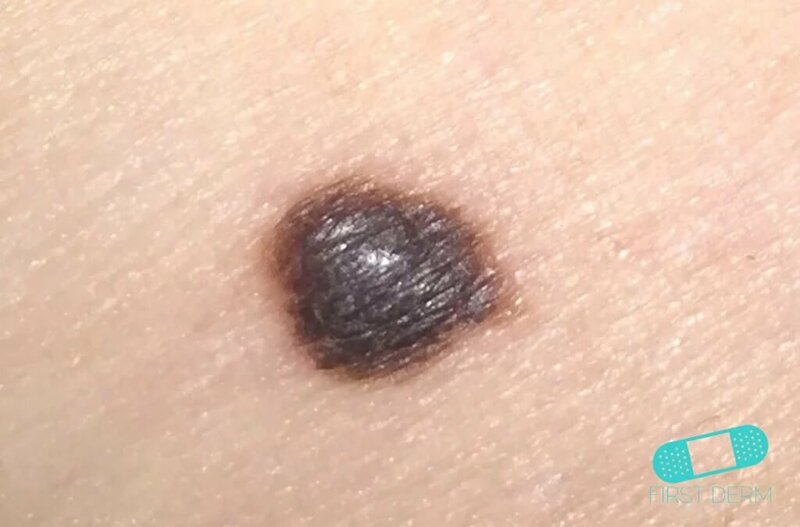 Melanomas are typically brown, but may develop more colors as the melanoma grows. 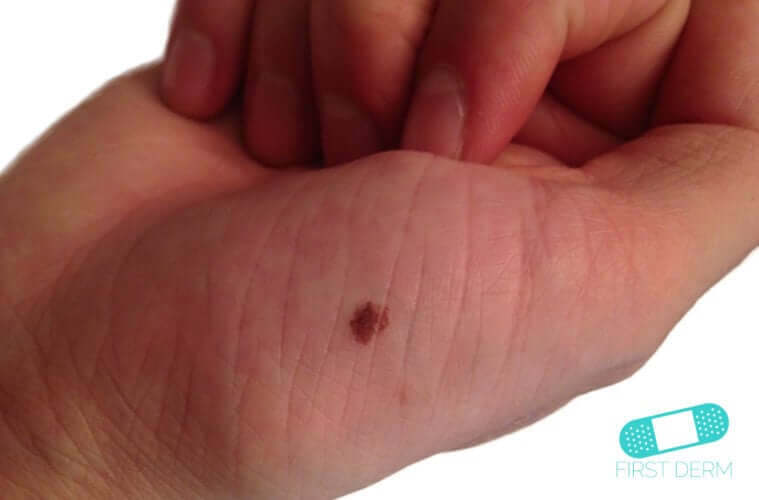 Itching and bleeding are often late features of melanoma – do not wait for it to bleed! 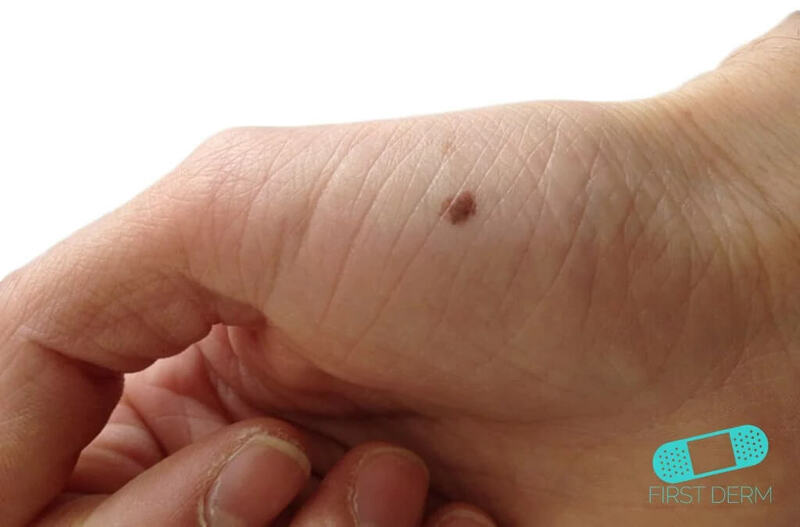 Signs to look for include any new mole that grows, any mole that is changing, or any lesion on the skin that looks different. 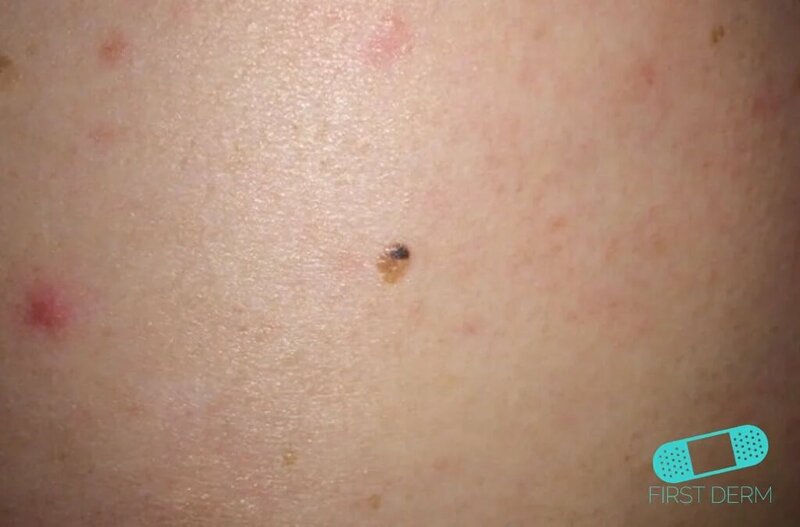 If one mole looks a lot different than the others, you should get it checked out. 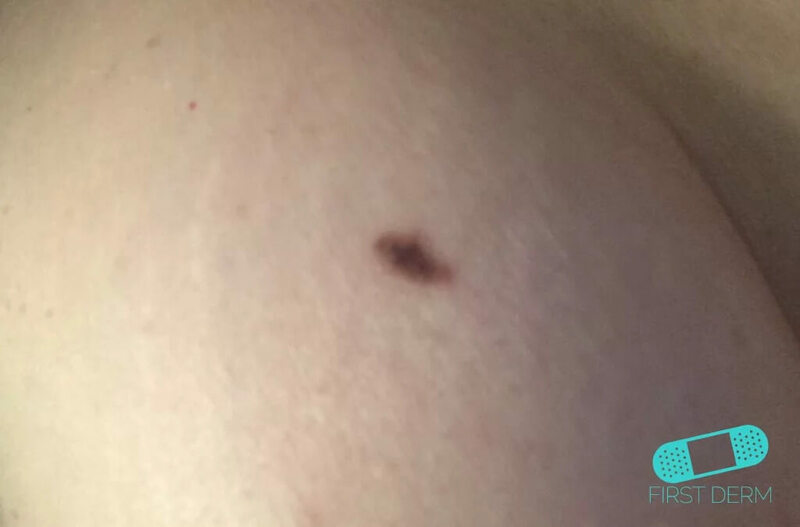 Changes in thickness of the melanoma is the most important factor determining how likely it is to cause problems. 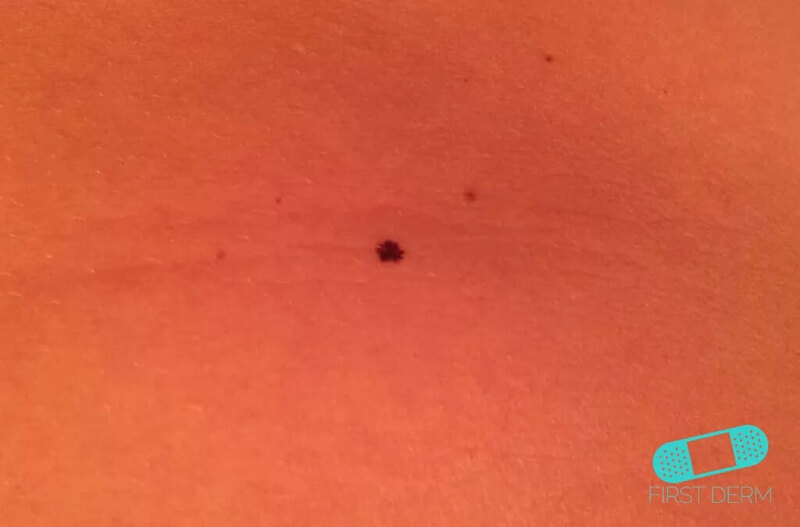 The thicker the melanoma is, the more likely it will spread. 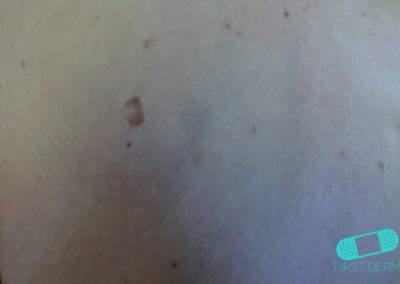 The melanoma must be removed by surgery. 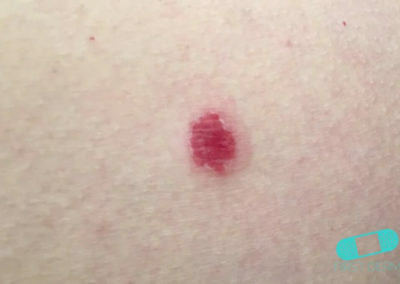 Early treatment by surgical removal is important, as the cancer may be aggressive. 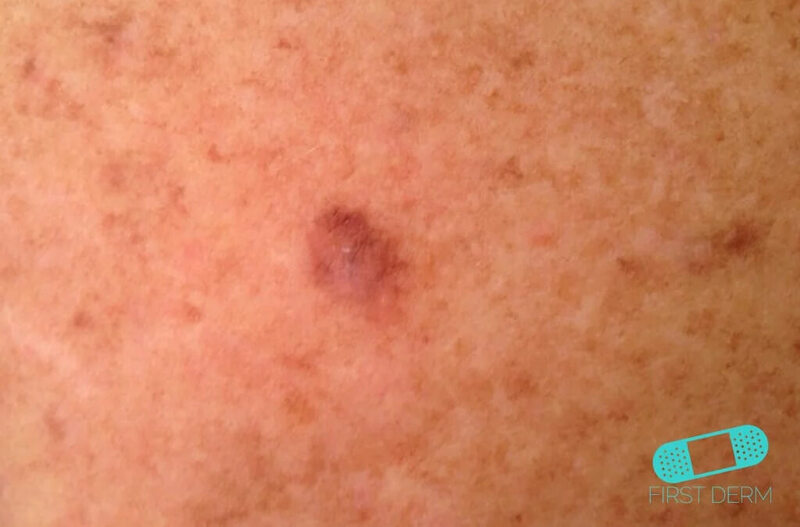 Do not delay – thin melanomas can be 100% curable. 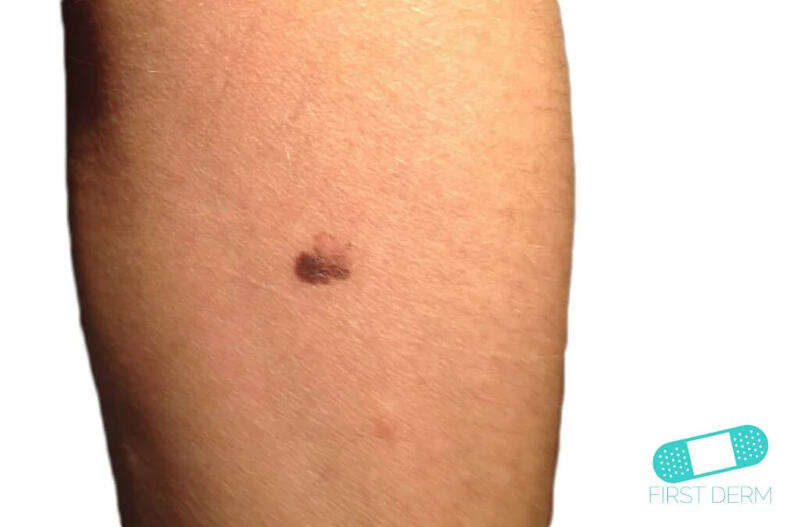 The treatment results in malignant melanoma are good and most are cured after surgery. You sometimes need to go on a variable number of the controls after surgery, with more frequent visits to the first time. 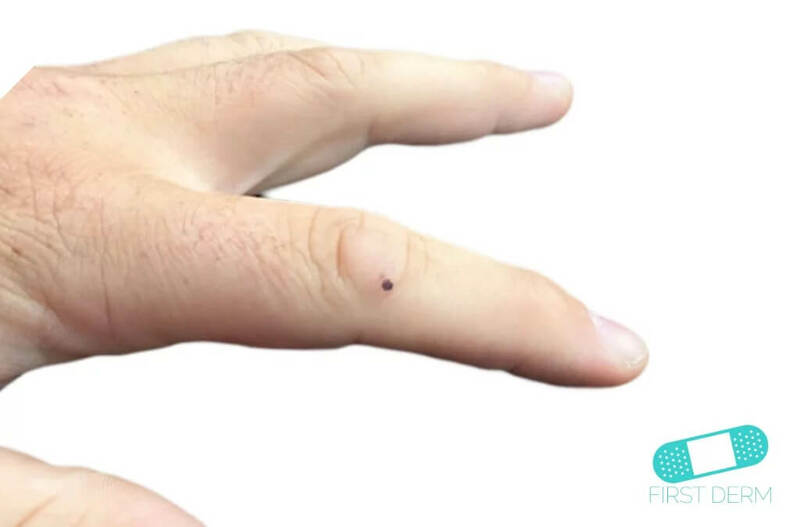 Sometimes other tests are needed, such as cell samples or different types of imaging tests. The risk of relapse decreases with time. The surgery is usually done with a local anesthetic, but the surgery type and extent depends on how the tumor looks. 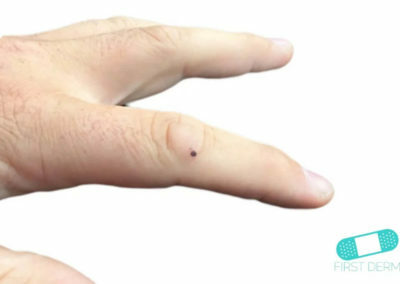 The thinnest tumors is cut at one centimeter margin of healthy tissue. The thicker, which has grown into the depths, is cut off by two centimeter margin. 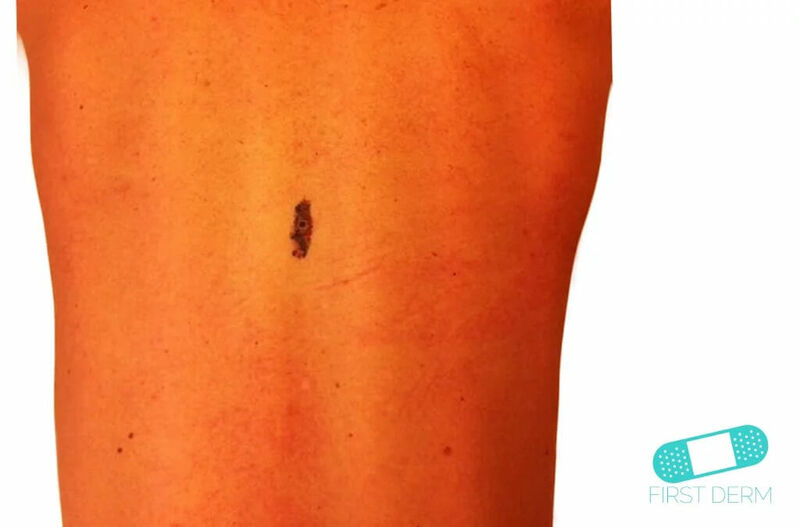 To cover large wounds, the surgeon sometimes transplant skin from other parts of the body. 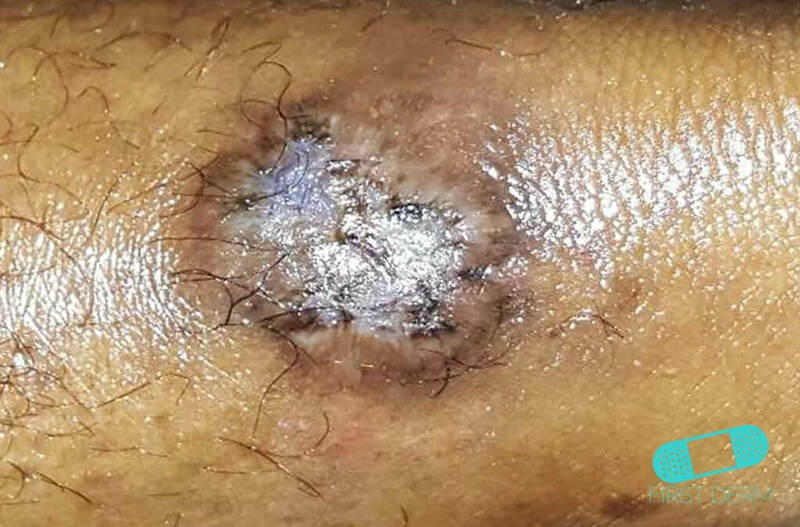 If the melanoma has already spread, it can sometimes stopped by cell-inhibiting drugs, known as chemotherapy drugs, which stop the uncontrolled proliferation of cancer cells.  Cell Inhibitory drugs have side effects, such as nausea and vomiting. Therefore, it is often a good idea to take medicine for nausea before receiving chemotherapy to reduce or prevent the side effect. Another side effect is that the white blood cells can reduce the number, which means that you can be more susceptible to infections. It is also common to lose your appetite or get dry mouth and diarrhea. If it is difficult to eat or keep food in, you can get in touch with a dietitian. Some cell-inhibiting drugs cause hair loss as well. Radiation therapy is used in some cases to damage cells in different ways. 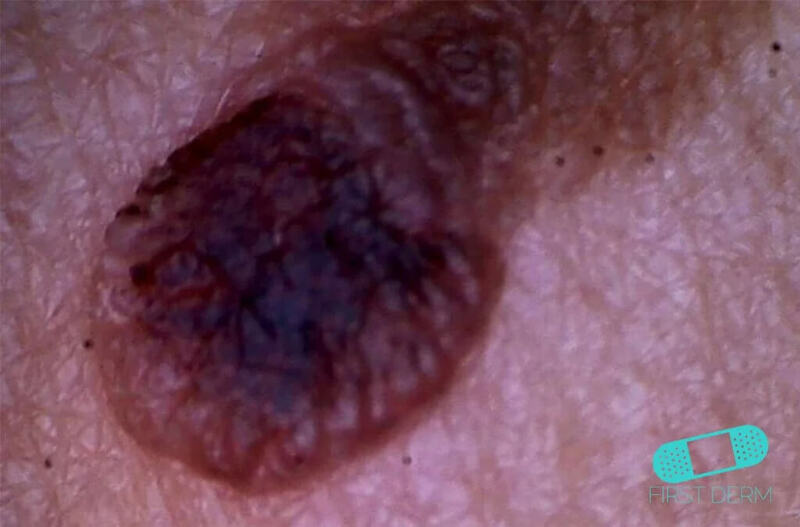 Some findings prove that cancer cells are sometimes particularly susceptible to radiation therapy. 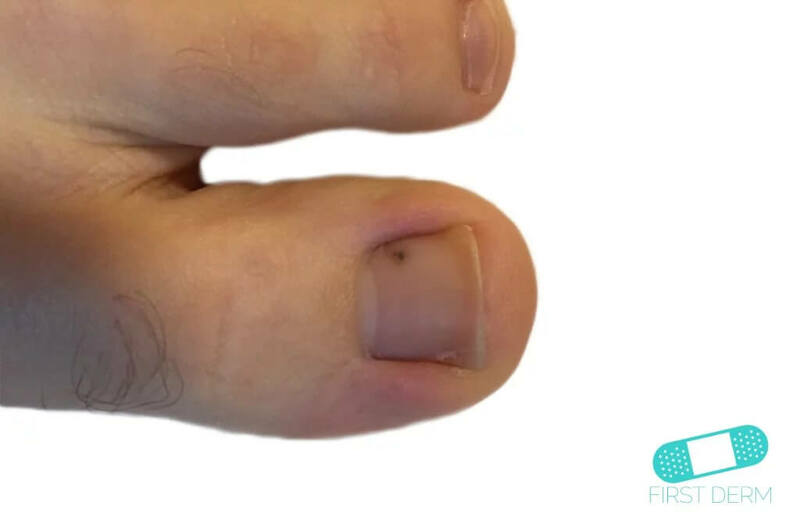 Radiation therapy can cause different types of reactions, depending on what part of the body irradiated, how high radiation doses as the body is exposed to. 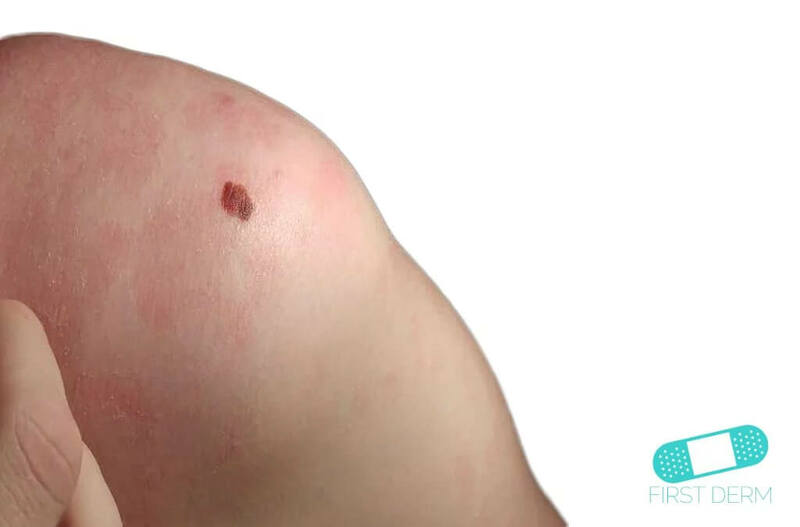 Some common side effects of radiation therapy include fatigue and skin changes such as redness and irritation. Adverse reactions can be more difficult if you are already weakened by other diseases. U.S. Cancer Statistics Working Group. United States Cancer Statistics: 1999–2012 Incidence and Mortality Web-based Report. Atlanta: U.S. Department of Health and Human Services, Centers for Disease Control and Prevention and National Cancer Institute; 2015. Available at: www.cdc.gov/uscs. AIM at Melanoma Foundation. 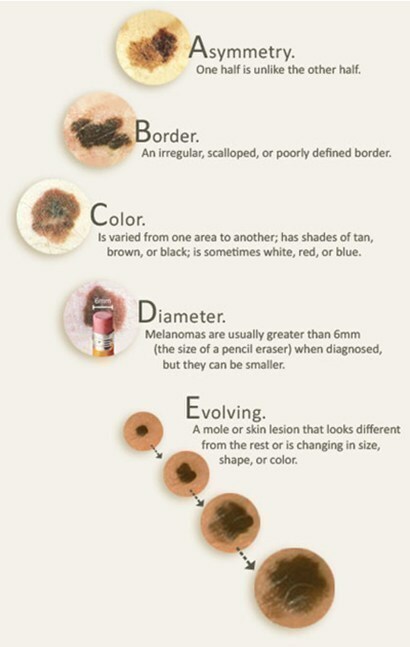 Melanoma Stats, Facts, and Figures. 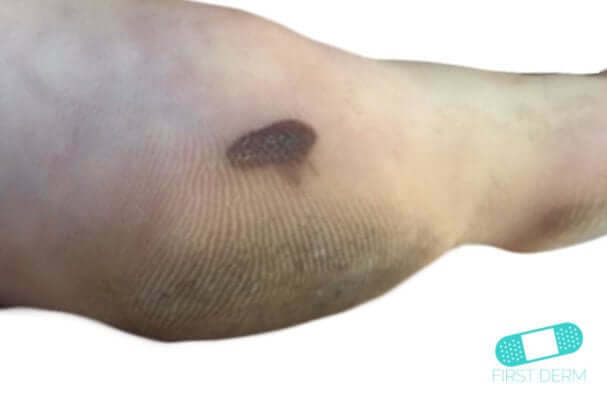 Available at: https://www.aimatmelanoma.org/about-melanoma/melanoma-stats-facts-and-figures/. 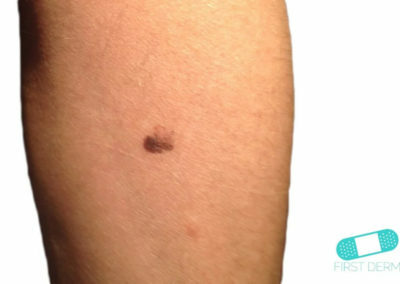 American Academy of Dermatology. Melanoma. 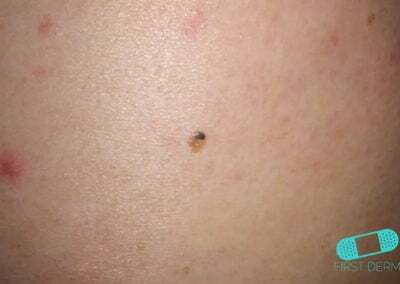 Available at: https://www.aad.org/public/diseases/skin-cancer/melanoma. National Cancer Institute. 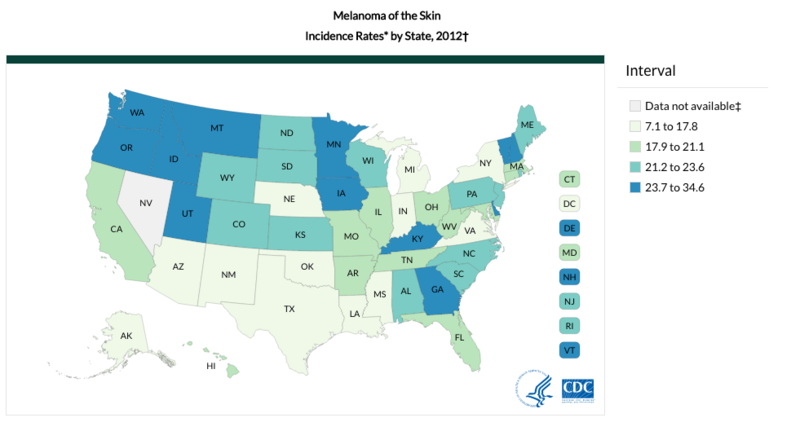 SEER Stat Fact Sheets: Melanoma of the Skin. Available at: http://seer.cancer.gov/statfacts/html/melan.html.